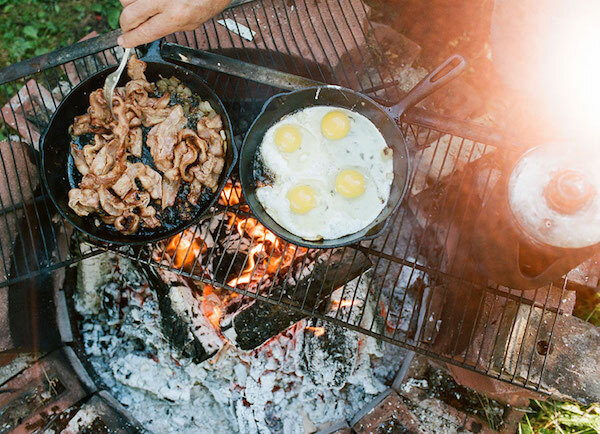 Many of us were probably already aware that camping is more than just open fires and s'mores. Many studies now are looking into the therapeutic effects camping has on the mind and body. It seems one week of camping with no electronics can drastically improve our stress and sleep levels. No surprise there. The theories behind these claims link to findings stating that after a week of exposure to only natural light, our internal circadian clocks re-align with the natural solar 'time'. In more digestible format, our internal (biological) night begins at sunset, and ends just after sunrise. This exposure to natural light allows our internal system to naturally regulate hormones, particularly melatonin (the sleep-promoting hormone). Melatonin disruption has been on the rise since the 1930's. In modern days this disturbance is attributed to overuse of artificial lighting after sunset. Regulation with natural light allows our bodies to fall asleep an average of two hours earlier and effortlessly rise with sun. Now, while we could all attempt to do this on a regular basis the keynote here is that because the sleep timing is synchronized with the natural light-dark cycle, awakening at earlier hours with the light of the sun is much easier, and provides a feeling of relaxed refreshment as opposed to the confused daze that many of us wake up in. Exposure to only sunlight and a fireside glow is the reasonable explanation for this synchronization and a factor that causes many of us fall asleep at 'incredibly early' hours when camping. Other benefits of a few nights under the stars include more general (but equally beneficial) health aspects. For centuries it has been known that direct contact with nature increases mental health and psychological and spiritual well being. This well being includes stress reduction, which can be partially attributed to less or (ideally) a complete lack of technology while in the great outdoors. While people may have varied opinions on this, we say it's a good reason to take a week off work and go find some wilderness.